Denbigh Cycle Route rejected in Municipal Mugging! 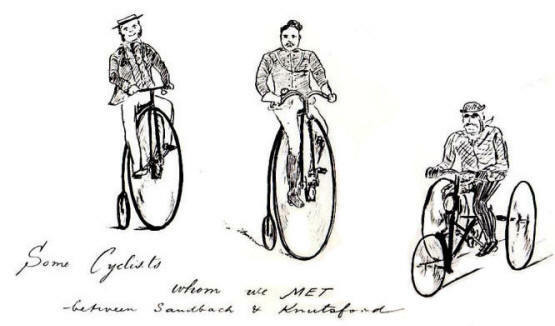 1887 Sketchbook Diary: Our new section has over 200 contemporary and often amusing sketches of cycle life over 120 years ago drawn by Walter Dutton, a cycling enthusiast living in Liverpool. Packed with incident and character these sketches are great fun and a treat for anyone with the least interest in the history of cycling.